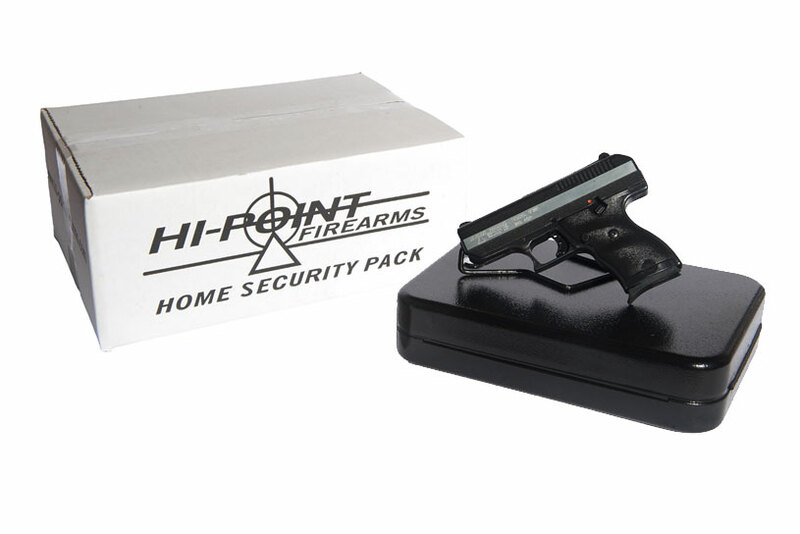 Hi-Point® is leading the way in the handgun market by combining our tough, economic, totally reliable handgun with a strong, secure, and economical lockbox. In 2013, we noticed that there was a lack of support for first-time gun buyers asking about securing their firearm. Enter the HSP. 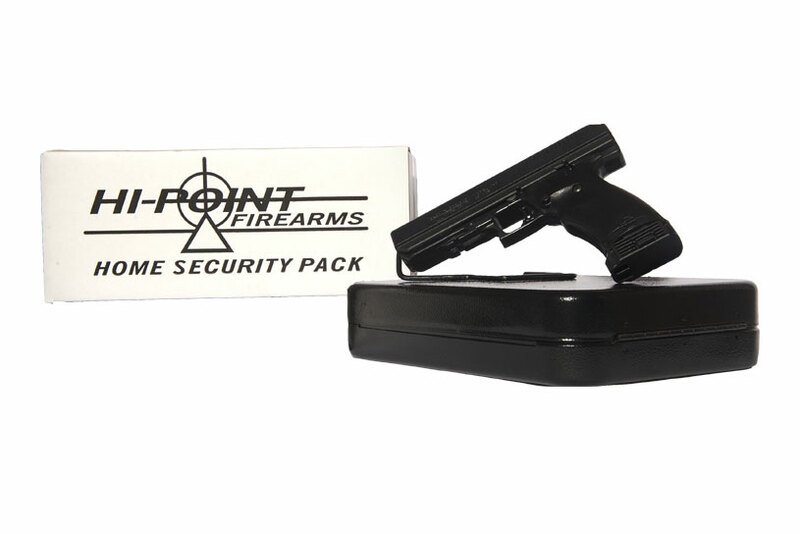 We are the first manufacturer to offer a steel lockable container packaged with a handgun. With the included steel cable, the lockbox can be secured virtually anywhere - closet, bedside, vehicle, desk, anywhere you need to keep a firearm out of sight, safe from prying fingers, but easily accessible. 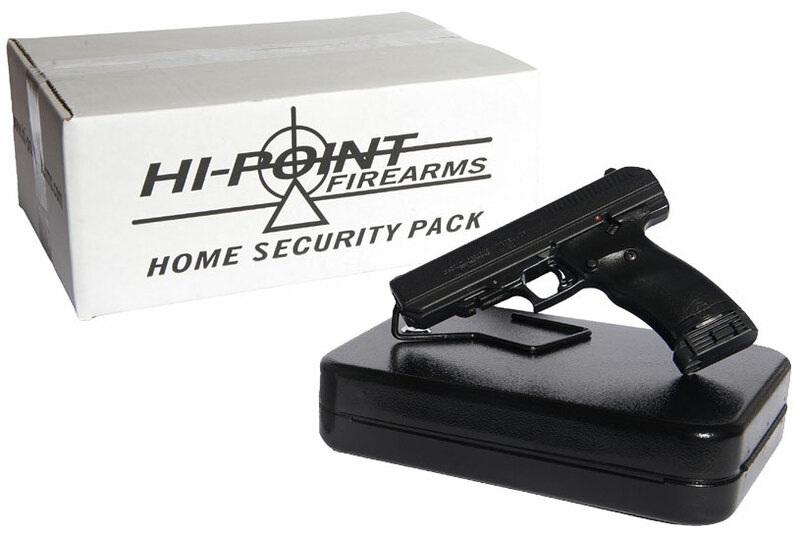 The Hi-Point® HSP is available as a package with all Hi-Point® pistol calibers (9mm, .380 cal., .40 S&W, .45 ACP). 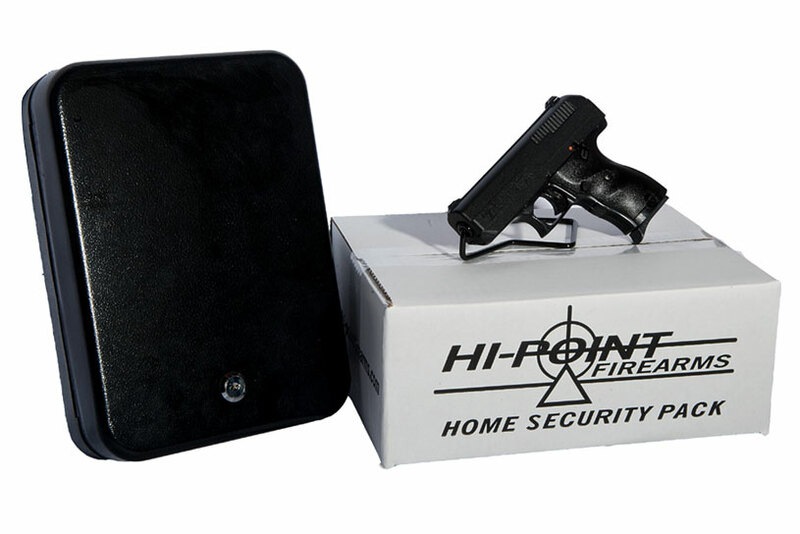 This is a highly effective, very affordable combination of the reliability and power of a Hi-Point® pistol, and the safety of a steel locked box. Steel case dimensions: 11 1/2" x 8 1/2" x 1 1/2"